Why Is Jason Kenney Posing As a Finance Minister? I had been wondering where Jason Kenney had been hiding. But suddenly there he was on TV. Having apparently traded in his job as Defence Minister, to pose as a Finance Minister. With a new and flexible definition of the word recession. 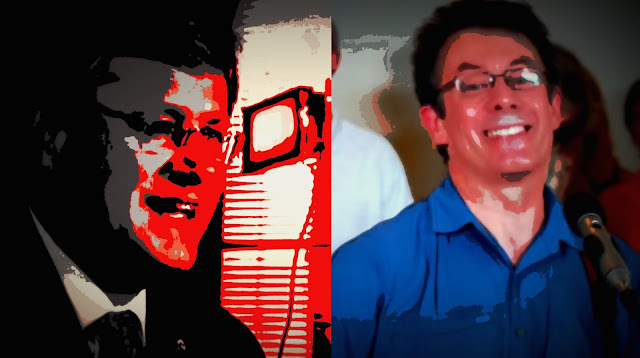 It has been several days since the Harper regime suspended the federal scientist Tony Turner for writing and singing the song Harperman. And as expected it has triggered a debate over whether public servants can be political activists. And while some Cons claim they can't, and that they must remain loyal to their monstrous master. The Supreme Court settled that question twenty-four years ago. 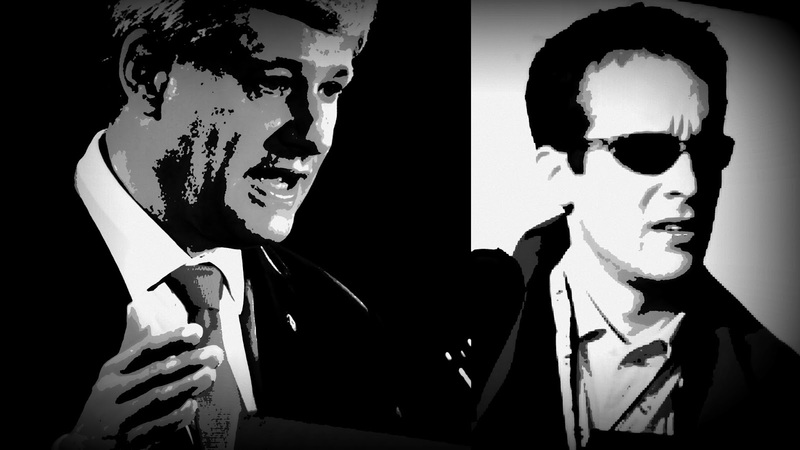 Does Stephen Harper Agree With the Republican Loon Scott Walker? 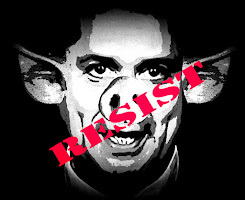 Scott Walker is one of the most reactionary Republican candidates, a union basher, an anti-gay bigot, and a fascist if ever there was one. And now he's trying to out trump Donald Trump. 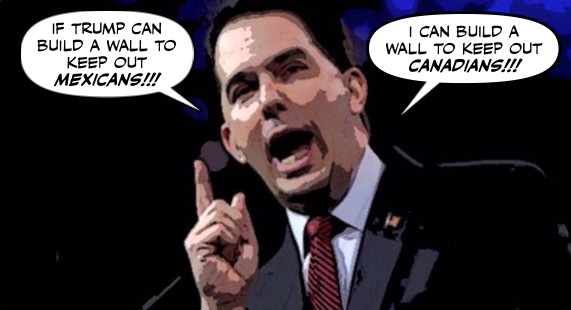 Walker thinks it might be a good idea to build a wall along the Canada-U.S. border. 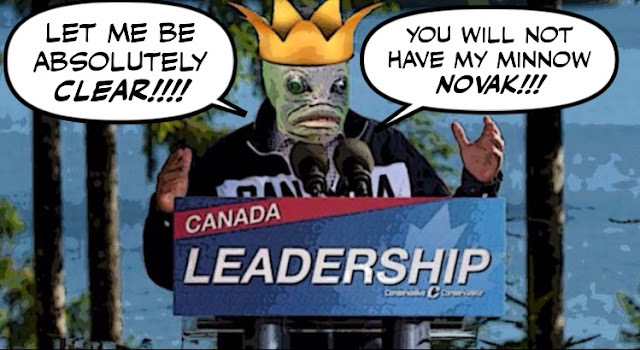 It has to be the strangest election campaign I have ever known. In the condo jungle where I live it's hard to know one is even underway. There are no lawns, so there are no lawn signs. I have received only one pamphlet, from the local Con candidate. Which I quickly turned into a paper plane, and floated out of my window. 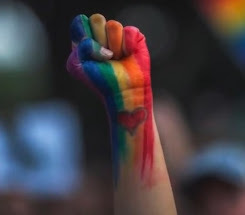 In the fond hope that it might land on someone's head, and gently remind them that we are in a battle that will determine whether this country lives or dies. It was a shocking and deeply disturbing sight. And it could only make Canadians wonder whether Stephen Harper was still mentally fit to be Prime Minister. 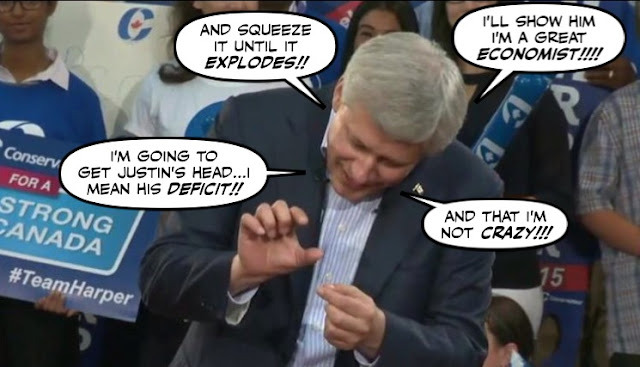 For there he was today, trying to mock the size of Justin Trudeau's deficit. But only managing to look more crazy and more desperate. 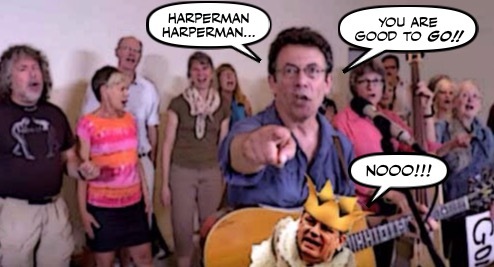 Harperman: The Anti-Harper Song Goes Viral !!! If Stephen Harper thought he could get away with punishing the scientist Tony Turner for daring to write and and sing the song Harperman, he must be sorry now. For as I said yesterday it is an outrageous assault on freedom of expression. And as I predicted it has only made the song even more popular. About two months ago I played this gentle, joyful song of resistance aimed at the depraved dictator Stephen Harper and his criminal Con regime. It was written and performed by Tony Turner a scientist at Environment Canada. And I thought it was great. I liked the music and the lyrics, especially the chorus. 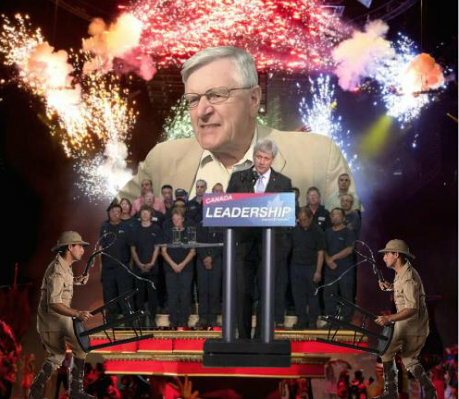 Harperman, it’s time for you to go. 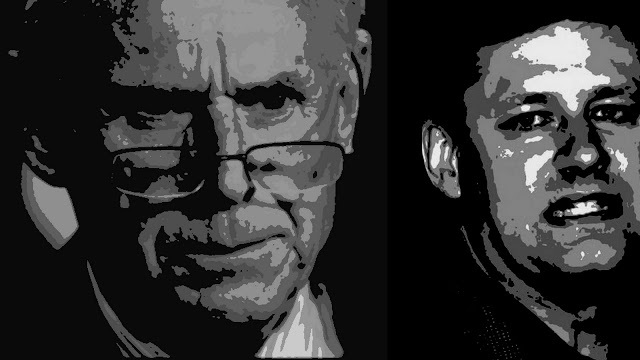 So you can imagine how I felt when I read that Tony Turner has become the latest victim of that monstrous regime. 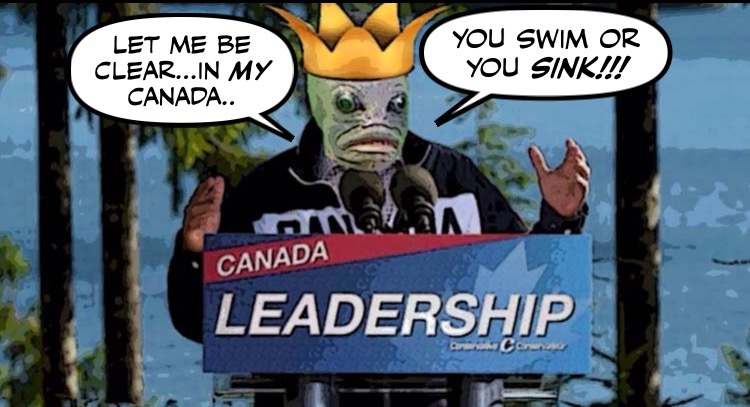 He is already the best protected Prime Minister in Canadian history. Wherever he goes he is surrounded by an army of RCMP bodyguards. His motorcade of sinister black vehicles is as big or bigger than Obama's secret service convoys. No ordinary Canadians can get anywhere near him. Only Con supporters who have been vetted by his office. But even that isn't enough to reassure our cowardly mad king. 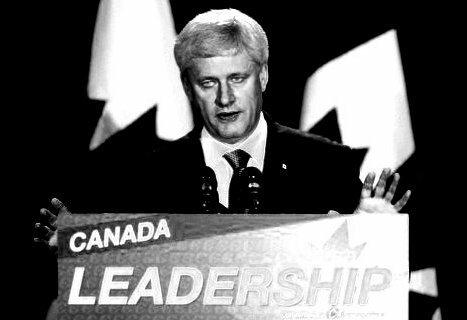 It says something really horrible about Stephen Harper, that whenever he feels threatened he tries to scare Canadians. First he tried to scare them by claiming that the criminals were EVERYWHERE and that only he could save us by sending even more Canadians to jail. Even though the crime rate is at its lowest level in decades. Then he claimed that the terrorists were EVERYWHERE, and that only he could save us from being beheaded in our beds. 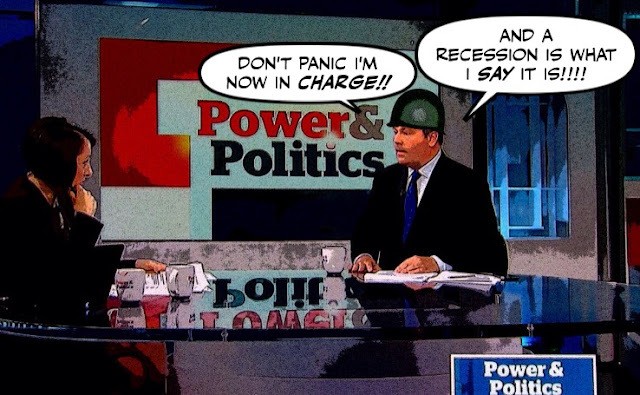 Now he's showing his teeth again, and trying to scare Canadians with the Great Economic Menace. 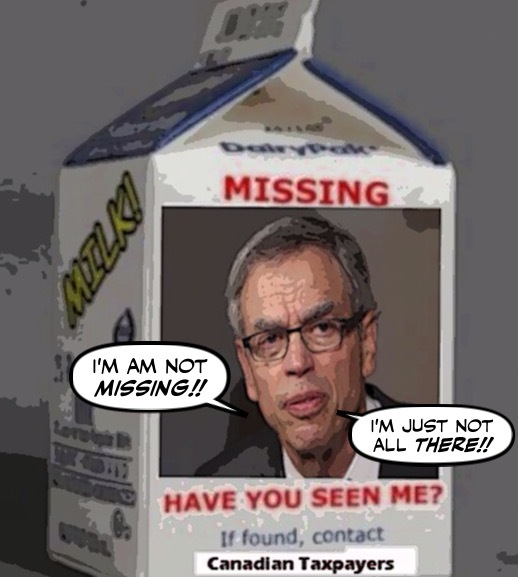 Why Is the Con Clown Joe Oliver Missing In Action? The economy is teetering on the edge of disaster. The stock market is on a wild roller coaster ride. The loonie or Harper peso has fallen to its lowest level in eleven years. Thousands are losing their jobs. 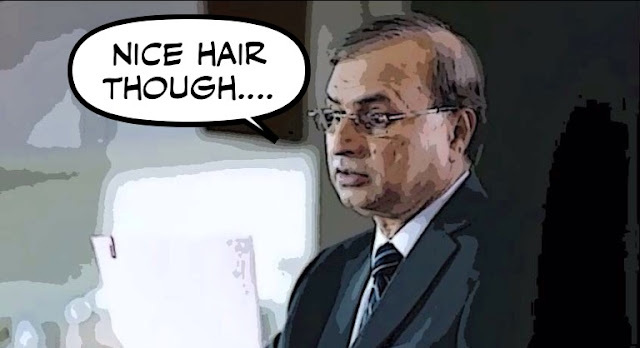 But Joe Oliver, the alleged Con FInance Minister, is nowhere to be seen. He has held no newsers, issued no reassuring statements to worried Canadians. He has been missing in action. And it seems the only Canadians he's willing to talk to are the rich old guys at private men's clubs. These days you might get the impression that this election is all and only about the economy. The economy that Stephen Harper has helped drive into the ground. But today two very different Canadians sum up what it's really all about. The Duffy trial has adjourned and won't get going again until after the election. 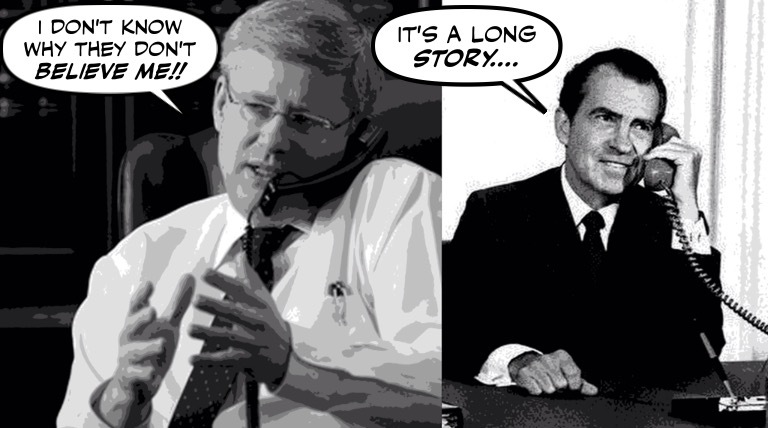 So you might think that Stephen Harper would be letting out a giant sigh of relief. But sadly for him, the trial may be over. But as a new poll shows the damage has been done. 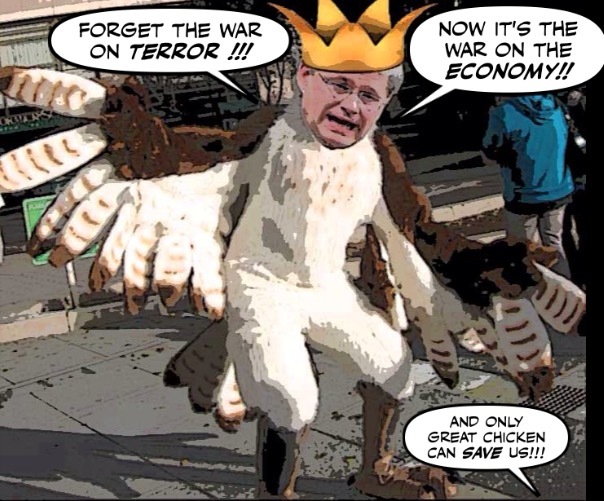 Well as you know Chicken Harper has changed his tune or his feathers. Now he isn't going around claiming people should vote for him because only he can save us from the terrorist menace. Or because our economy is so strong, and he's a Great Economist Leader. Now he's claiming we should vote for him because the economy is so weak, only he can save us. And playing cheap politics with the Governor of the Bank of Canada. They wear the scent or the stench of their cult leader, like a dog happily wears the stench of rotting road kill. They swagger around like bullies drunk with power, but have fear in their eyes. And most importantly, they check their blackberries about once every THIRTY seconds. So this claim by the former PMO hack Chris Woodcock couldn't be more outrageous. 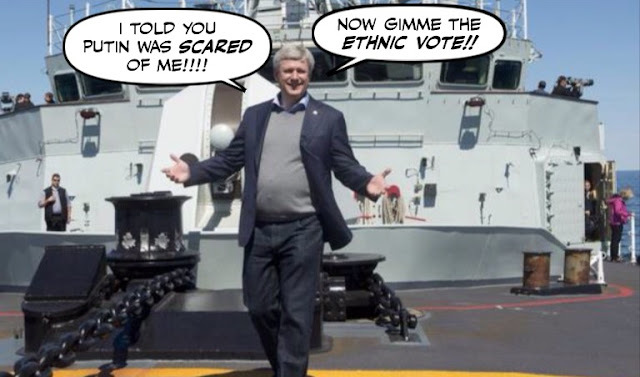 Stephen Harper did something yesterday that he hasn't done before. He actually mentioned the name of Ray Novak. But even though Novak has now been shown to be at the heart of the Duffy scandal. 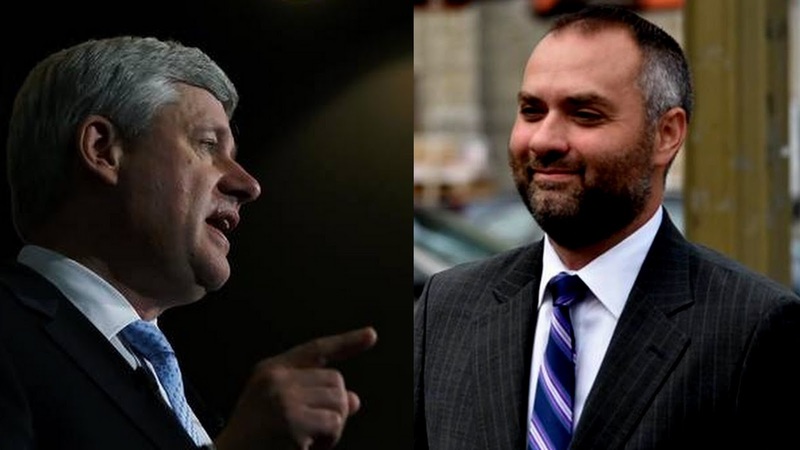 Harper is still refusing to fire him. Michael Harris: Have the Mounties Become Harper's Private Police? 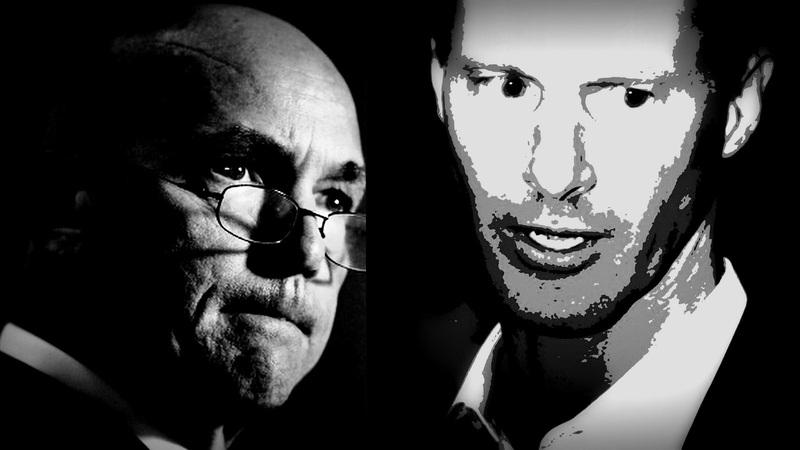 A few days ago I wrote a post where I wondered why the RCMP Commissioner Bob Paulson has so far failed to explain the reason his investigators decided not to charge Nigel Wright for his role in the Duffy scandal. Even though he promised to do that more than a year ago. 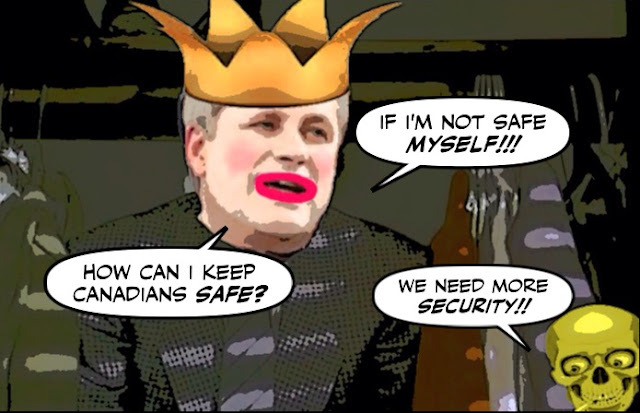 Now Michael Harris goes a step further and wonders whether the Mounties have become Harper's private police force. As we all know Stephen Harper has a lot of other problems to worry about. The economy is tanking, and so are his polls. But he should also worry about his drowning credibility. Because when it comes to the Senate scandal most Canadians think he's lying. 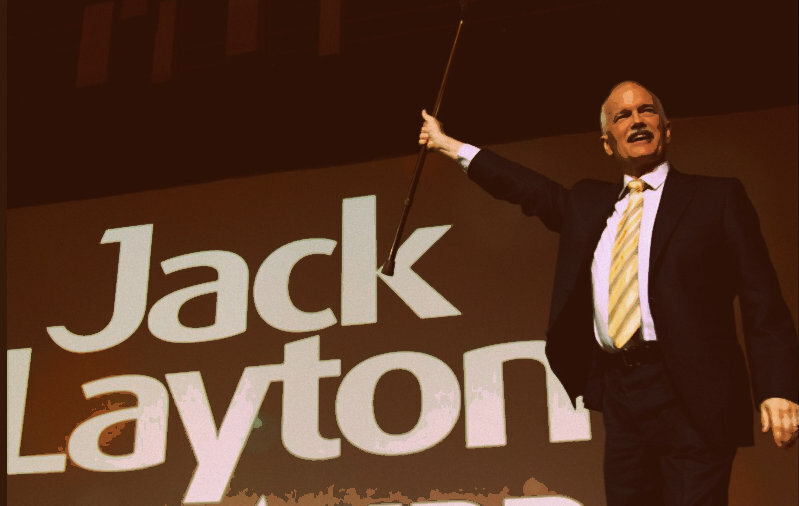 It's hard to believe that it's now been four years since Jack Layton died, and the hopes of so many turned to sadness. 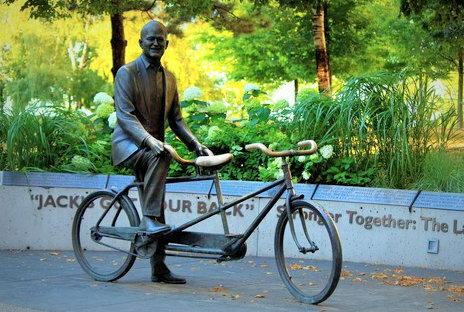 And yesterday evening, when I returned from the island to the ferry dock named after him, I paused for a moment before this statue in my neighbourhood. I didn't stay long because I pass the statue almost every day. Anything I had to say I said long ago. Like thank you, or how cruel life can be. But I did stay long enough to think that wherever that happy warrior's spirit roams, it must be singing. Because the orange wave he created in Quebec, is now becoming an orange tsunami. Gawd. 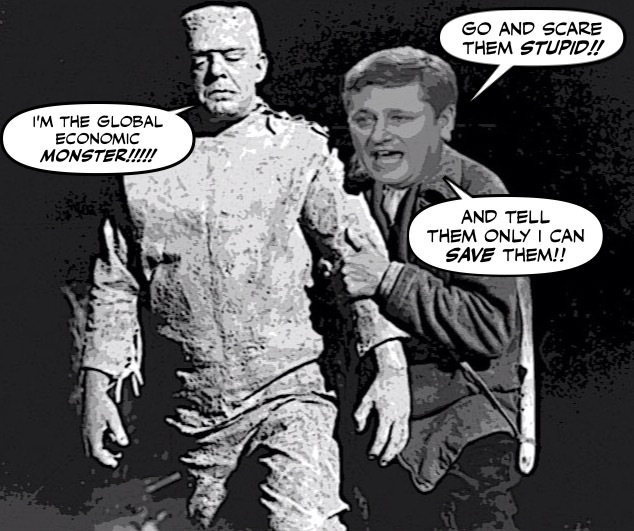 If Stephen Harper wasn't such a monster you'd almost have to feel sorry for him. He just can't do ANYTHING right these days, and his massive propaganda machine just keeps making him look like an absolute IDIOT. And now in an ad to promote BC's salmon fishery they've done it again. I can only imagine Stephen Harper's state of mind, after what must have been for him a week in the hell of his own making. 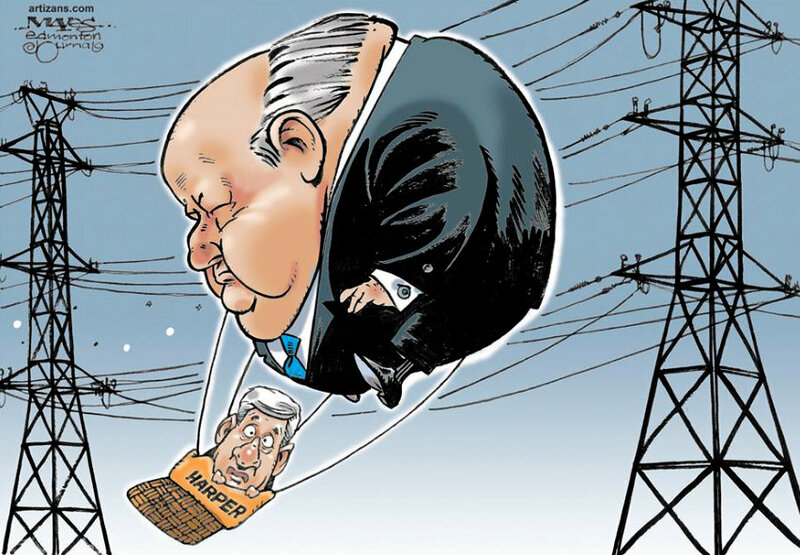 For it was the week the Duffy scandal shredded what was left of his credibility. The week his campaign went off the rails. And ended with Great Desperate Leader defiling young Canadians. The Hairy Question: Why Was Margaret Atwood Censored By the National Post? 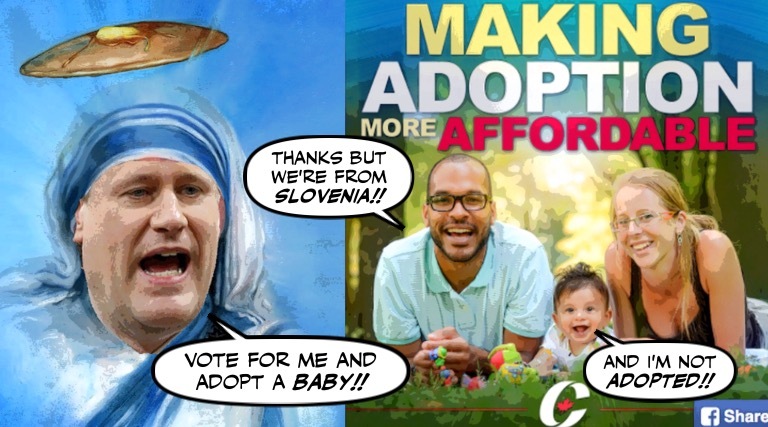 We've all seen this absurd clip in that ghastly Con attack ad at least a thousand times. For there is no escaping it. And if you're like me you have no doubt wondered what it has to do with Justin Trudeau's qualifications to be Prime Minister. And whether it's just another hideous attempt to undermine Justin's masculinity. But who could imagine that the distinguished writer Margaret Atwood could write a column about that hairy question, and be censored by the National Post? Now that we know that Stephen Harper's lawyer believed that Nigel Wright had Harper sign off on a five-point plan to payoff Mike Duffy. “That was an accurate statement,” Bayne asked. “You said that to the police?” “Yes,” replied Perrin. I think it's about time that the RCMP be asked to explain why it didn't charge Wright, or Stephen Harper's intimate advisor Ray Novak. 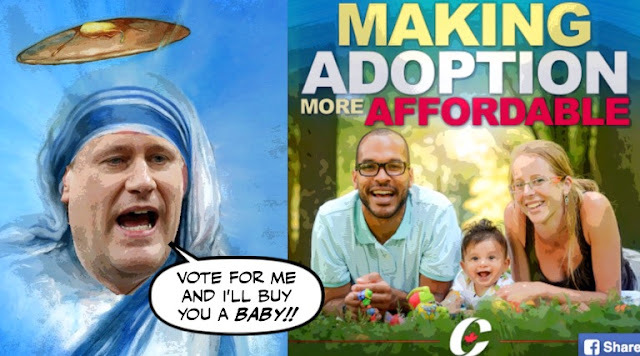 It's Stephen Harper's latest desperate plan to try to soften his image, and make himself more popular. By buying more votes with OUR money. 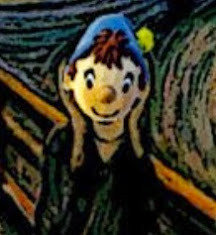 But sadly for him there's something terribly wrong with that picture. And it's just more Con fraud. Benjamin Perrin had only been the PMO lawyer for a year before the Duffy scandal erupted so he wasn't part of the Con cult. He never drank the Koolaid. So today when his turn came to testify at the Duffy trial he let the truth fly. And managed to knock down Stephen Harper, Nigel Wright, and Ray Novak. Is That Angry Old Con Also a Hideous Racist? We've seen that angry old Con in action. We've seen the disgusting way he went after after two female reporters. 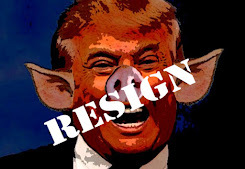 We've heard his foul language and the deranged way he smeared them. Now the Toronto Star says it knows his name. And the question that remains to be determined is whether that ghastly Con is also a filthy racist. He's trying to carry on his campaign as if nothing has changed. 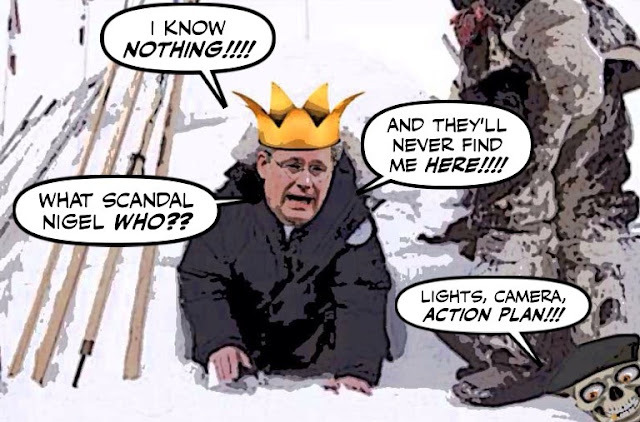 As if the Duffy trial was a mere distraction. 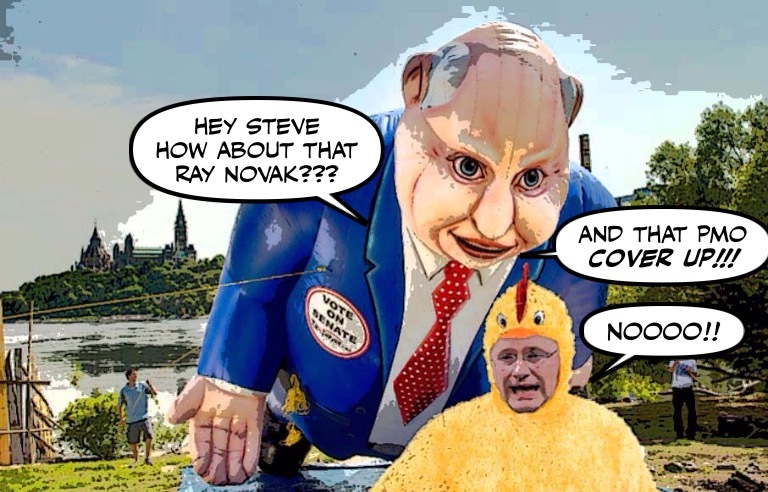 But Stephen Harper couldn't conceal a wince yesterday, when reporters asked him about his beloved Ray Novak. And whether he was planning to fire him. By now most people have seen the video of that angry old Con attacking reporters for asking questions about the Duffy trial. And it has become a popular internet meme. But if you thought that Stephen Harper might be smiling, or in his case opening his mouth and showing his teeth, at that show of support from a member of his Con base, you'd be wrong. 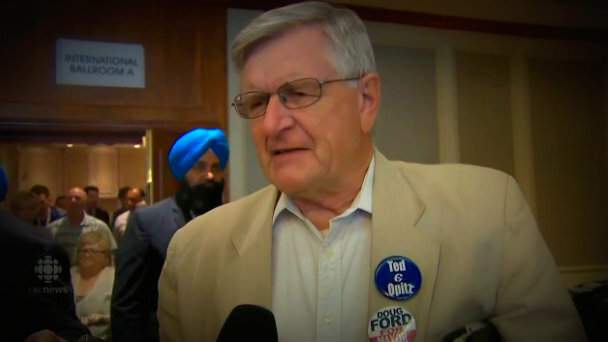 Because there was another angry old guy at that rally, and he's Harper's nightmare. It's the smoking gun. Or should I say the smoking flamethrower? The Con conspiracy has finally been exposed. 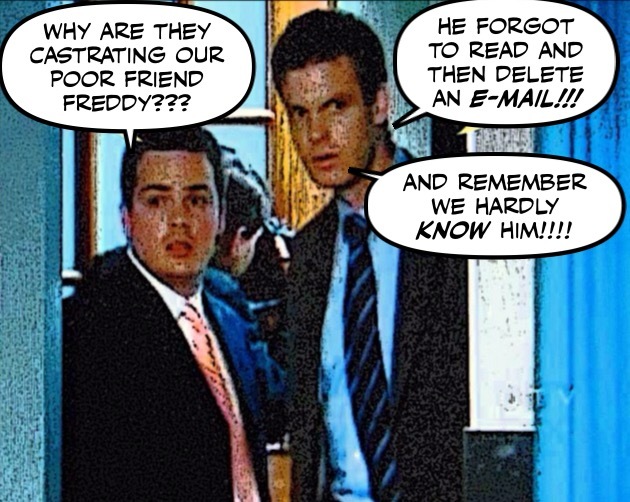 It now seems that Ray Novak, Harper's beloved Chief of Staff, knew all about Nigel Wright's payment to Mike Duffy. 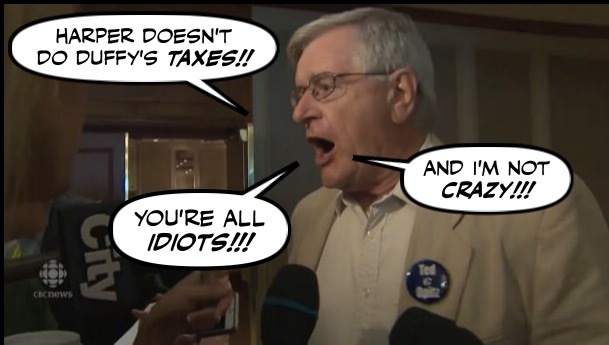 Harper Thugs Attack the Media at Con Rally !!!!! 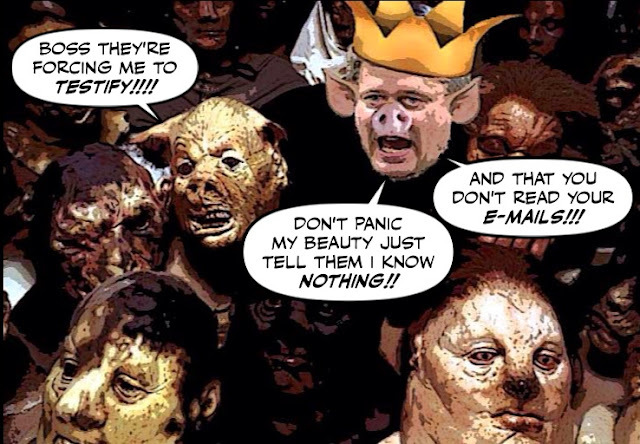 They are Stephen Harper's ghastly audience. The hand picked Con fanatics who are allowed to attend his rallies. They hate it when reporters ask their Great Leader any questions, especially those about the sordid Duffy scandal. And even though he only allows five questions a day, it drives them CRAAAAAZY. So now they're trying to muzzle the media, or assault them in the foulest manner. 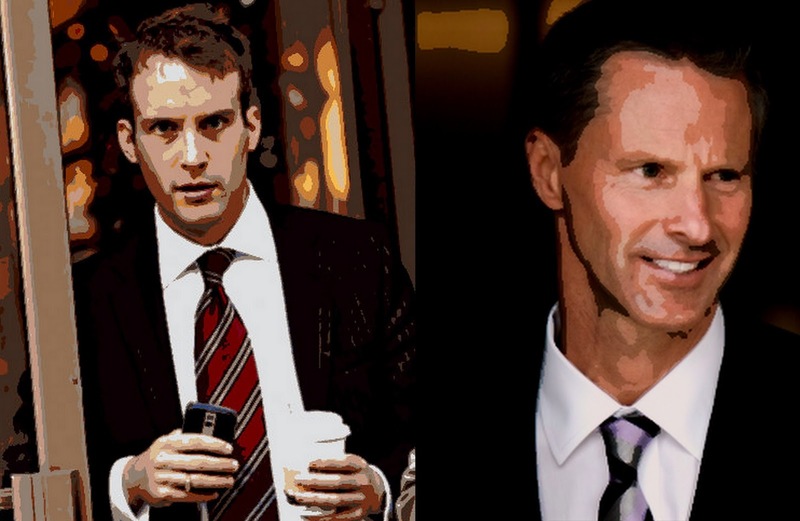 His friends on Bay Street and in the MSM describe Nigel Wright as a "straight shooter." A man who wouldn't lie about anything. 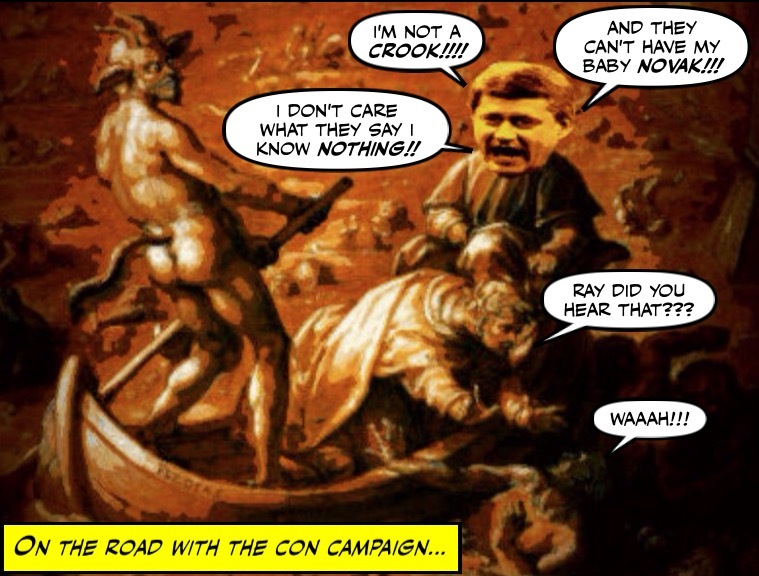 But the evidence presented at the Duffy trial so far has shown him to be a grubby schemer, who would do anything to protect the image of the Con regime, and his depraved master. And the story he is spinning couldn't be more absurd. It's one of the foulest chapters in the dark history of Stephen Harper's monstrous government. The betrayal of our veterans and the brutal treatment of our wounded soldiers. The shameful war on those who have served their country, that continues to this day. So i'm really glad to see that yesterday was the also the day that a group of veterans launched its assault on the Con regime. It's one of the most dangerous street drugs this country has ever known. It's killing on average one Canadian every three days. But while local police forces are trying to warn people about the danger of illicit fentanyl. 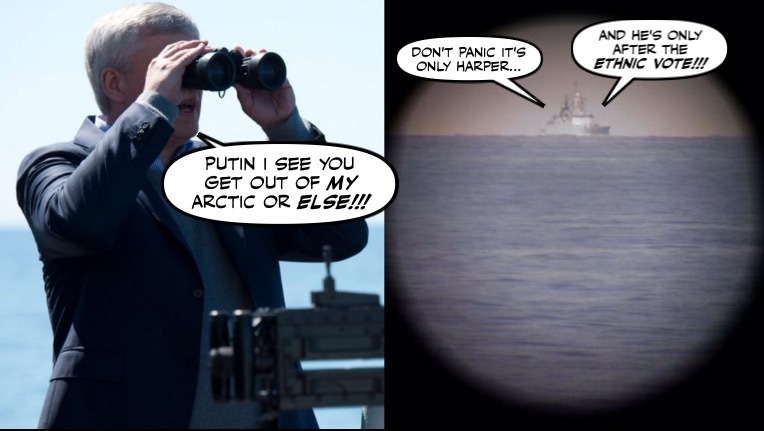 The Harper Cons are refusing to issue a country-wide alert. Well he can run but he can't hide. 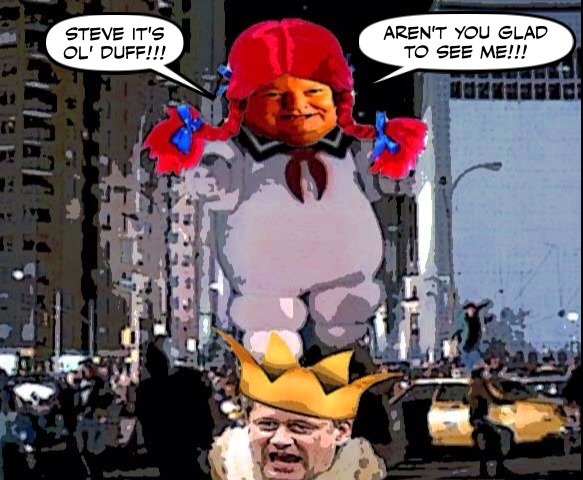 Everywhere Chicken Harper goes he is dogged by the Duffy scandal. 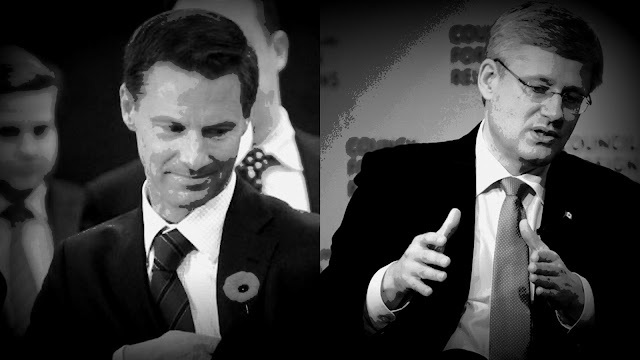 If his beloved aide Ray Novak knew all about the attempted cover-up and Nigel Wright's scheme to pay off Ol' Duff, why did he stay silent and allow Con cabinet ministers to lie like thieves? And why hasn't Harper fired him? It's the greatest Arctic mystery since the Franklin expedition. Why after taunting the Russians and their leader for the last two years, in relentless pursuit of the ethnic vote. 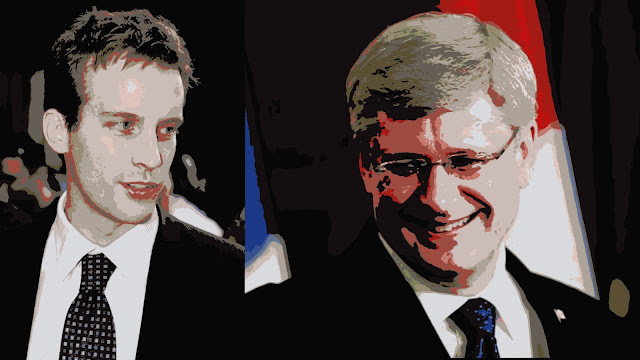 Why is Stephen Harper suddenly not talking about the Russians anymore? Why has he suddenly gone silent even after their equally desperate and deranged leader issued this disturbing challenge? When Stephen Harper decided to launch the election campaign into the midsummer storm of the Duffy trial, he must have thought he could get away with it. 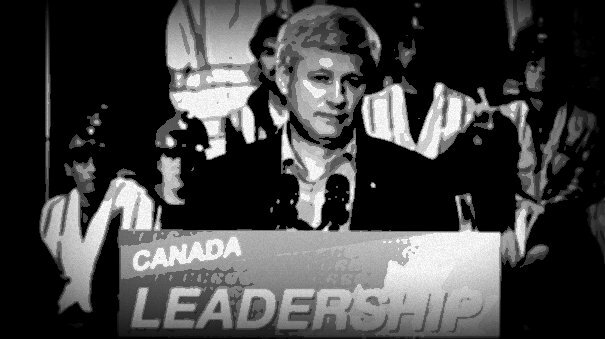 His criminal mind must have hoped that the campaign would distract Canadians, and limit the damage to him and his Cons. But as even John Ivison points out, with every passing day that decision is looking more and more disastrous. 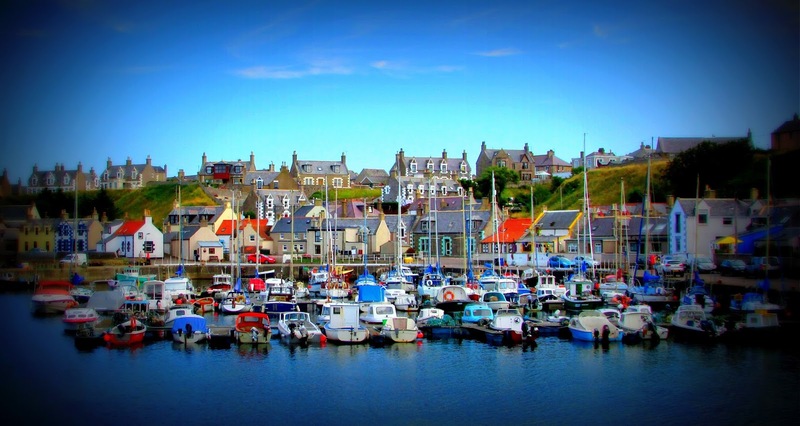 It's never easy for me to leave Scotland, the idyllic little country where a progressive government has driven the Cons to extinction. And it wasn't easy for me to blog as I biked from one small fishing village to another with my lap top in my haversack. But I did my best, for this time I couldn't wait to get back. And this couldn't have been a better homecoming present. Ever since the trial of Mike Duffy began, his lawyer Donald Bayne has been circling over Stephen Harper, like a hawk over a rabbit. But today all that changed. When Bayne swooped out of the sky, and went in for the kill. It couldn't be a more outrageous statement, or if you are a Christian a more blasphemous one. 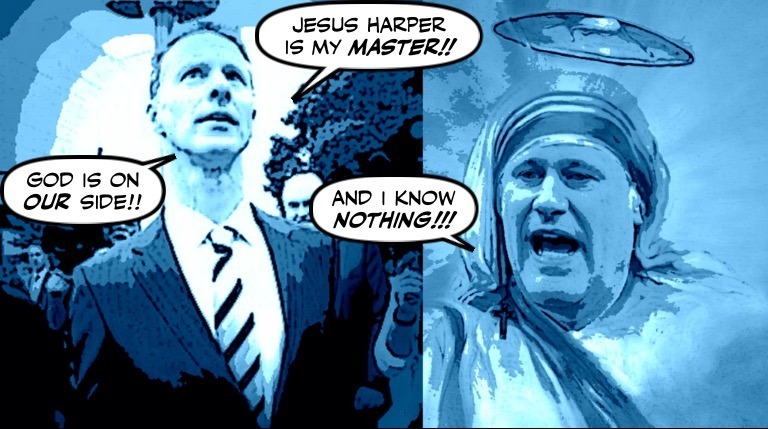 But there was Jesus Harper's fallen but still faithful disciple Nigel Wright, citing the Bible to defend his actions in the Mike Duffy scandal. 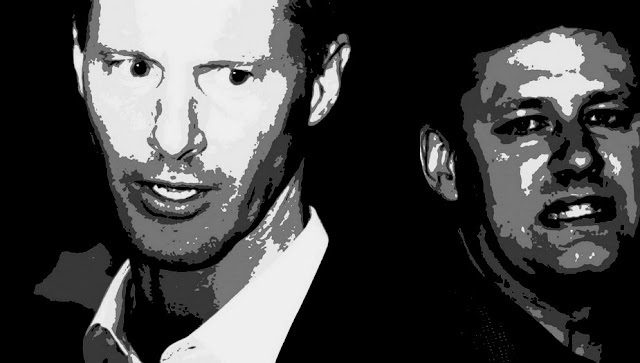 They say Nigel Wright is an honest man, who just happened to be working for the most morally corrupt leader of the most morally corrupt government this country has ever known. And all that was missing on his first day of testimony at the Duffy trial was a halo over his head. Even if the story he told was just too good to be true. As you know Stephen Harper is planning to put as much distance between himself and the Mike Duffy trial as he possibly can. Even if that means taking his travelling closet to the North Pole. But sadly for him it probably won't be far enough. And will only add to his growing reputation as the coward in the closet. Or as Tasha Kheiriddin calls him, the boy boss in the bubble. 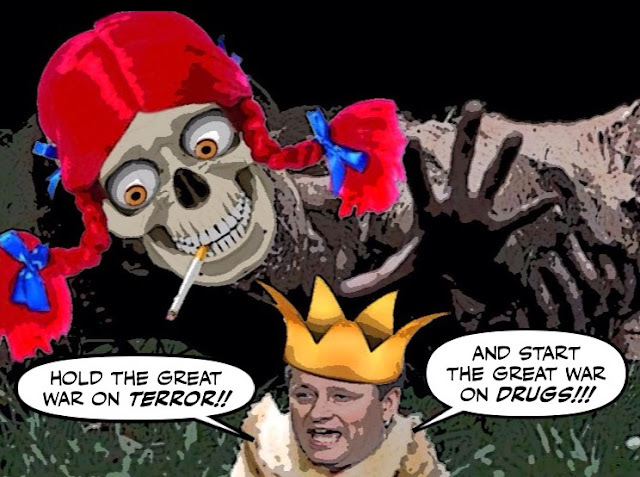 Well I knew the depraved and increasingly desperate Stephen Harper would say or do anything to try to distract us from the Duffy trial. And sure enough I was right. First came his latest attempt to resuscitate the Great War on Terror. 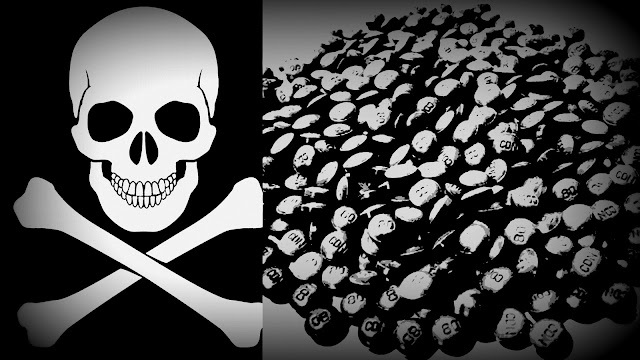 And now comes yet another attempt to revive the Great War on Drugs. 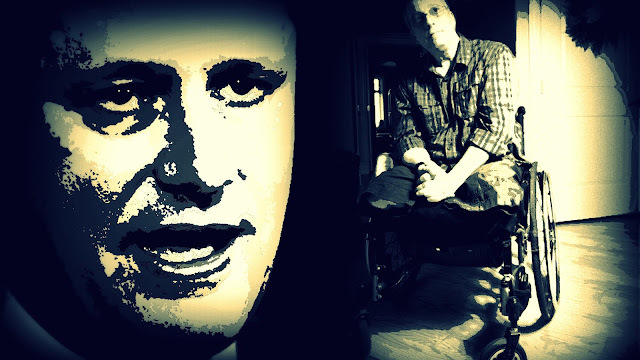 When I see the crazed look in Stephen Harper's eyes I can't believe that anybody in Canada could vote for such a monster. When I read about how him and his Cons are trying to buy an election I wonder why they aren't in jail. Cabinet ministers, backbenchers, and Senators announced $14.09-billion in federal government spending between June 23 when the House rose and Aug. 2 when the federal election was called, according to the 670 announcements. When I look at this updated list of his crimes against Canada I wonder why he's still in power. 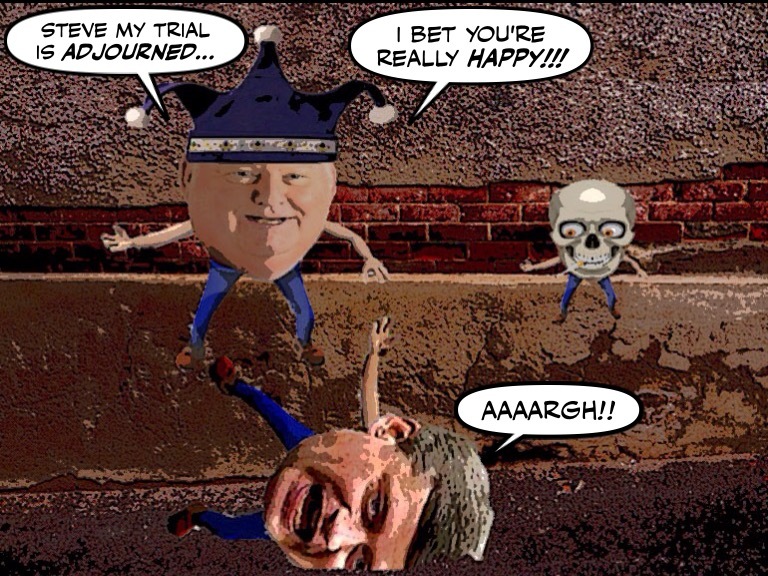 Well we've had to wait a long time, but the Mike Duffy trial is back again, and you can be sure it's giving Stephen Harper nightmares. Not just because the timing couldn't be worse. 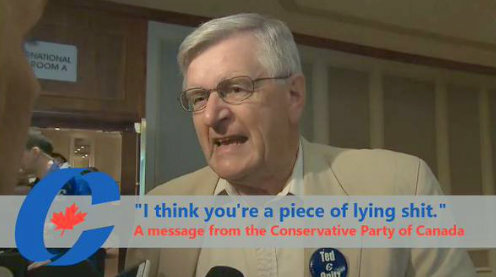 For although Harper is now denying he ever used those words. That's not what he once told Tom Mulcair. I started writing this post in the ruins of an old Scottish castle not far from my family home. And as usual I couldn't help but think of those who thought these massive walls would stand forever. Only to see them brought down by time, war, or the madness of some king. Just like our mad king Stephen Harper is bringing down the walls of his foul Con regime.